Color: incredibly vivid intense blues and greens and flashes of mauves oranges and purples. Contact Kari to purchase this pearl. 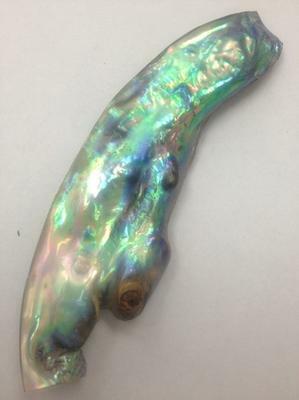 Mention "Gorgeous Natural Abalone Wing Shaped Pearl".